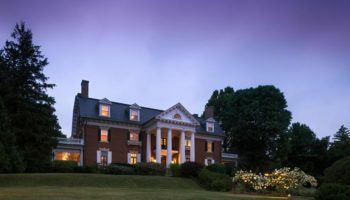 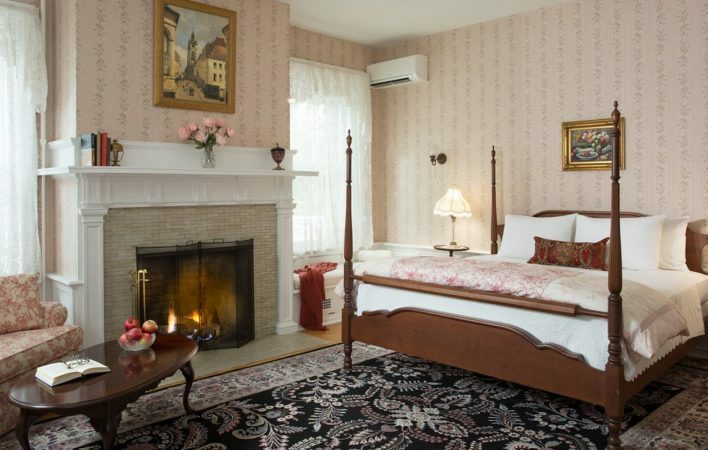 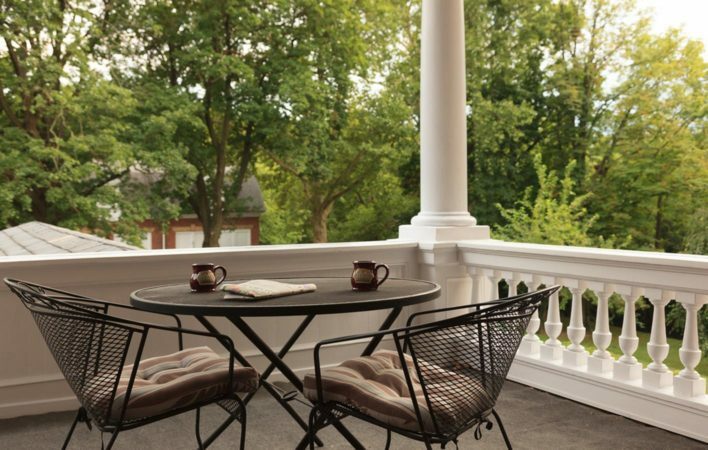 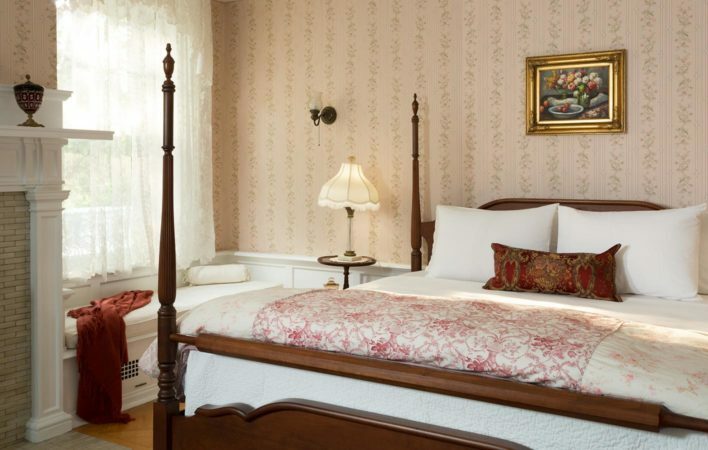 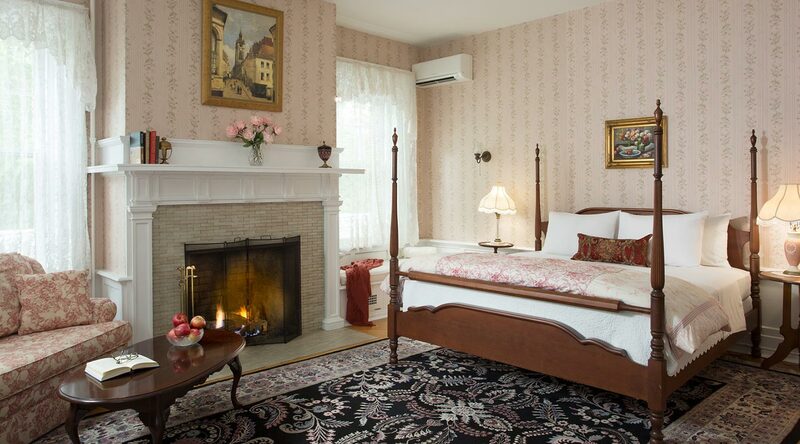 With a large, lovely fireplace and a private, covered balcony, this sun-filled room at our romantic bed and breakfast near Harrisburg, PA is an Inn favorite. 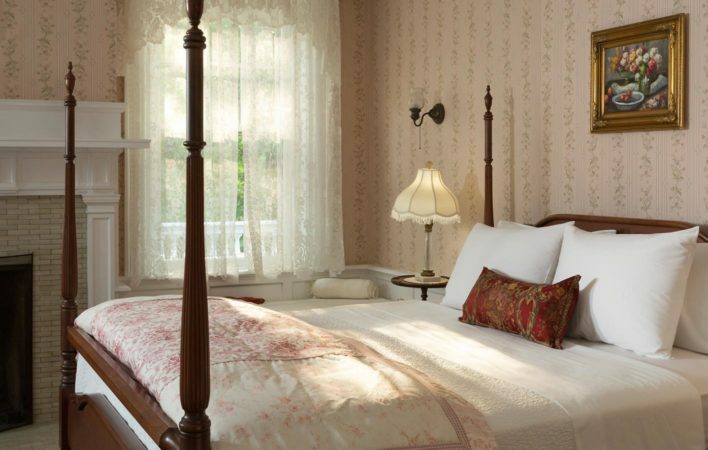 Soft light streams onto the window seat; a perfect place to curl up with a book. 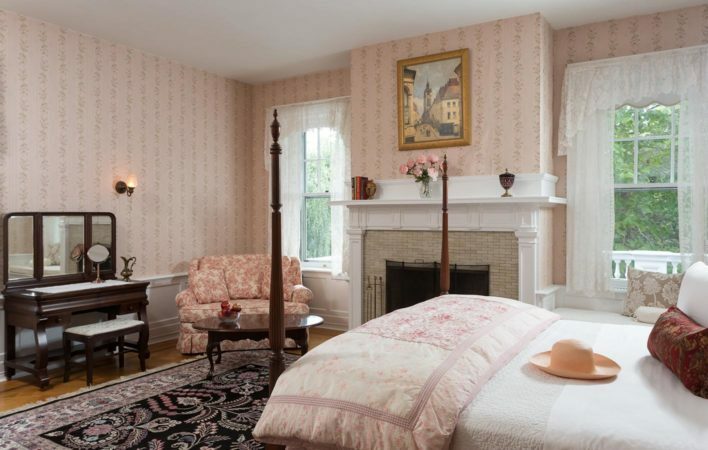 A charming sofa bed in the sitting area, leather recliner, king bed, and private bath make this room a perfect peaceful haven.